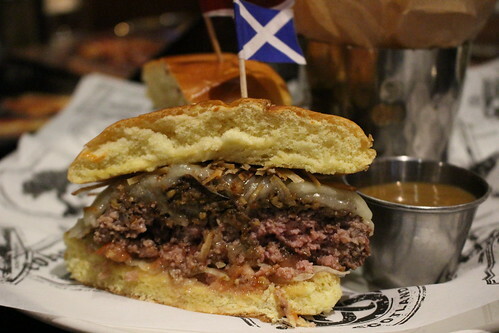 The burger itself was pretty juicy, and the haggis definitely adds a gaminess and that offal flavor to it, but I found it quite good and didn't overwhelm the other flavors. Even my friend who's never had haggis before liked it. I found the haggis to be tastier than some of the fried versions I've had, since it wasn't dry and combined well with the beef patty. Schnitzel Burger from Cologne, Germany. 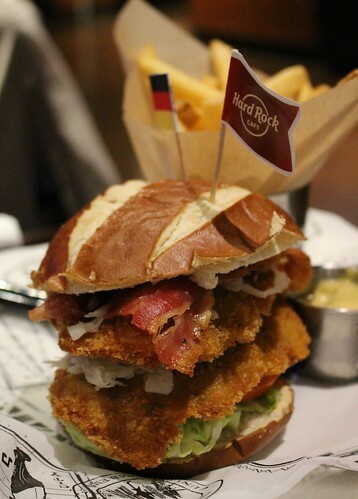 Two pork schnitzels layered with smoked bacon, sauerkraut, spicy brown mustard, lettuce, tomatoes, served with fries. Of course, this one is serve between a pretzel bun! This was quite a substantial sandwich. Between the fried cutlet and the pretzel bun, it was a bit dry, but adding more mustard fixed that up. 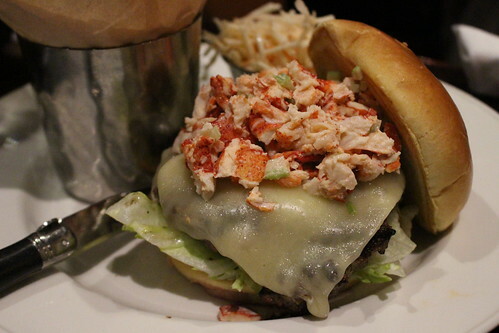 I also had to try the Boston Local Legendary Burger, which is topped with lobster salad and served with cole slaw - because, lobster. Other burgers on the tour is a Date Burger (topped with date chutney, from UAE), Java Lava Burger (dressed in espresso rub, from Seattle), Tandoori Spiced Chicken Burger (India), and more. 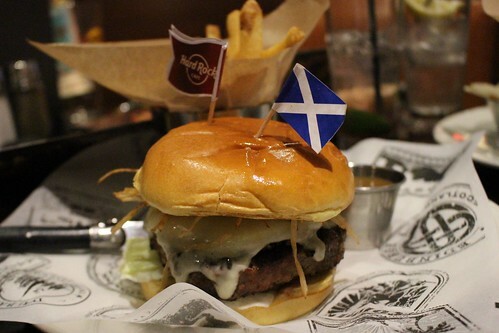 Check you local Hard Rock Cafe to see which burgers they are offering, and as a reminder, this promotion ends on June 30.